Amazon App store has a free app available everyday for Android devices. It is an app which normally costs. I check it regularly because I’ve been able to find some fabulous prizes. For example: office document apps–normally $10-$15. However, nearly everyday, I am surprised by the reviews given to free apps. The complaints are especially funny when it’s obvious the person got it for free. As though they couldn’t just delete it when it doesn’t have enough background color options. I envision someone waiting for panem et circenses–but complaining that the line is too long. 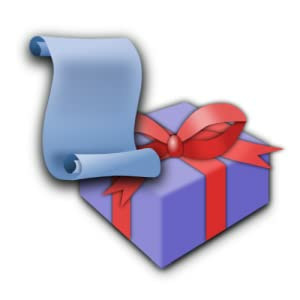 Today’s app is Gift Shoppe Pro. If you look at the reviews, all of the bad ones are in regards to timing. One or two stars because they would have liked it better three weeks ago. Seriously? It’s the same for the free books. I wonder if authors regret having their books available for free since the entitled crowd seems to take so much pleasure in biting the hand that feeds them. At first I wondered if it was our churchy culture that propagated this mentality. Most people know that salvation is free. They expect it. We even start to expect it on our terms. My dad taught martial arts while I was growing up. His heart was always to help those who couldn’t afford it. But the students who received it free were usually the ones who dropped out first. My husband and I have found this to be true now that we are teaching. How many of us will look at our Christmas gifts this weekend and wish something was a different color/size/style? Why do we criticize generosity? Matthew 20 tells us that it isn’t just our culture. Being unappreciative and criticizing generosity seems to be part of the human experience. Do people need to sacrifice to appreciate the value of something? Why is salvation free? >Deep thoughts here, Hilarey. Thanks for helping me to look more closely at my own heart, especially when faced with God's immense generousity. Pingback: Need joy? Try thankfulness.